"Sit still, until-"! Until when? "Until thou know how the matter will fall." Ruth 3:18. It is one of the most difficult and yet one of the most desirable and profitable lessons in our spiritual lives to learn to "sit still." This is especially so when we are beset by darkness and doubt, and when we are in ignorance of developments. Often our course is "hedged up," our path is in perplexity, and we do not know which way to turn. This is when it is safest, sweetest, and most successful to "sit still." It is not natural to "sit still" at such a time of testing. It is a lesson that has to be learned. It is not always easy to overcome the restlessness of our spirit, and the feverishness of our desire to know what lies ahead. To most of us it is truly "a mountain of difficulty." But mountains melt and move away by miracles of grace. 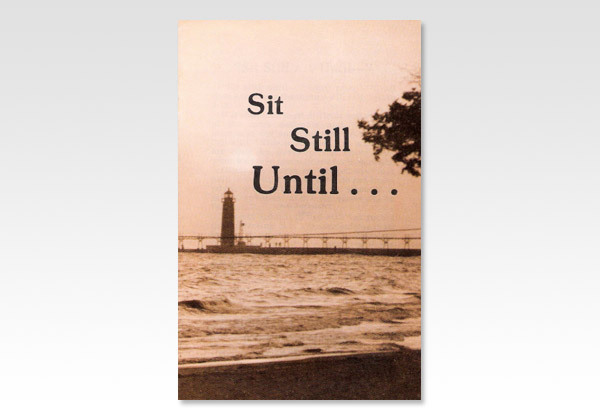 Doubtless, we wish we could "sit still." But just how to keep the spirit calm, the mind cool, the hands off, and the tongue quiet about the problems that perplex us, the people who vex us, and the things which lie beyond our control is, indeed, a secret of inestimable worth.